There are a lot of things to make my campus unique. Firstly, let’s start with the natural environment in which we have an amazing nature such as trees, birds and Mountain View. All of these make me feel fresh every time I enter my campus. Secondly, my campus has nice recourses for practical learning such as libraries, finance and IT labs. These places are quiet and peaceful that makes you always feel relaxed. Moreover my campus have different facilities for extra co-curricular activities such as Olympic size swimming pool, 2 gyms, 2 basketball ground, badminton & tennis courts, and newly inaugurated cricket stadium. Life at IIMi is something one will remember forever. Life here is always busy and fast-paced. You can find students preparing for exams, presentations, college fests at random time slots whether are late night or early morning. One of the things that make IIM Indore unique is its location i.e. near to SEZ Pithampur where one can find thousands of factories and plants of various renowned companies. The location advantage helps us in having frequent interaction with different industries and their professionals and also provides us an opportunity to do projects under them. Another thing I think may be unique is the course structure of various programs it offers. I got the opportunity to learn various computer languages like C++, Java, HTML, R despite being a commerce students. 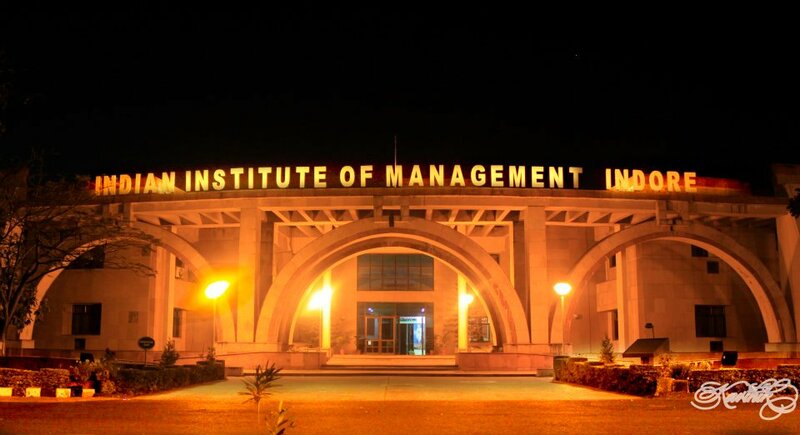 One of the most unique things at IIM Indore is its IPM (Integrated Program in Management) 5-year program which directly takes only 120 students all over India and that too directly after 12th standard. This course is one of its kind that offers the knowledge of various domains like psychology, sociology, statistics, foreign language etc. in first 3 years and last 2 years run on the PGP curriculum. The large pool of students at IIM Indore (roughly around 1500 students) helps in interacting with people of different geographical, an educational background which in itself provides a unique experience. We have students who have served army before and also those who have worked at different positions in renowned brands which help in knowledge sharing. Plus, the student’s council of our college is really best and organizes events at regular intervals that helps in creating a team spirit and a sense of leadership. It also works as an icebreaker for students of different courses or age groups. In a nutshell, they are many things that make my campus unique and it really hard to find the right one. I would like to work for ABFRL (Aditya Birla Fashion and Retail Ltd.) as I have some experience in working with a fashion brand. I interned at GAP Inc. in Delhi and got to know a lot about fashion industry and retail business. Plus, Pantaloons (Leading family fashion destination at that time) was acquired by ABFRL which makes ABFRL one of the most well-renowned brand/company under Aditya Birla Family. I also like the umbrella of a brand that it covers which provide garment needs from basic cloth to the luxury segment by taking care of the needs of its each and every customer.